Recent release "The Quiet Man" from Covenant Books author Michael Kelly is a stirring biography of the author's grandfather, Anthony Ward, and his life and times as he grew up in rural Ireland and eventually moved to industrial Scotland in the wake of the nation's uprising for independence, maintaining an unruffled perspective of it all with the bearing of humility and wisdom. 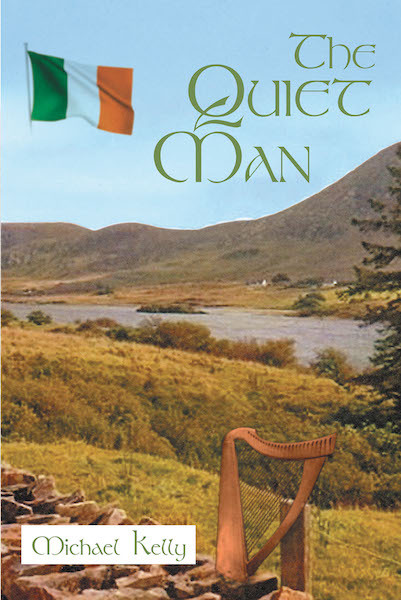 Cloquet, MN, February 14, 2019	(Newswire.com) - Michael Kelly, a retired Scottish Realtor and former Royal Navy man born in Scotland and now settled in America with his wife and kids, has completed his new book, “The Quiet Man”: a moving tribute to an Irishman of silent virtue. “The Quiet Man” is a partially fictionalized memoir of the life of the author’s grandfather, Anthony Ward, the quiet man of the title. The narrative moves back and forth from Tony’s boyhood days on the family croft in rural Donegal, Ireland, to his time in Dublin as a young man, and to his old age in the industrial city of Glasgow, Scotland. Tony was born near the end of the nineteenth century and his first language, and that of his people, was Irish Gaelic. Along the way Tony is swept up in the momentous events of the Easter Rising in Dublin and the war for Irish independence that followed. These events and many others of his life make him, in his mature years, a ‘quiet man’ of intimate thought. He lived a dutiful, modest life, and this book is a moving tribute to the man and his generation of Irishmen and all they stood for in their long, hard lives when family and honor were everything. Published by Covenant Books of Murrells Inlet, South Carolina, Michael Kelly’s new book is a rich tapestry that paints a portrait both of an Irishman and a nation that, like the Gaelic motto, may have died in the fight but remains alive. Kelly resurrects not just Ireland of the early twentieth century but also a man and grandfather whose personality and values by the end of the book will feel as alive and as comfortingly familiar as one’s own family. Readers can purchase “The Quiet Man” at bookstores everywhere, or online at the Apple iTunes store, Amazon, or Barnes and Noble. Recent release "Underneath the Green Canopy" from Covenant Books author Dewey Simms is a galvanizing book, containing fictional and truthful moments experienced by a determined family. Recent release "The Angel and the Midwife" from Covenant Books author Becca Fagersten Fillmore is a touching novel from the perspective of a heartbroken widow chosen to help Mary give birth to a child who then changes her world. Recent release 'Ben and Hana: Guardians of the Guineas' from Covenant Books author Tami Johnson is a vividly illustrated story that contains virtues for children to ponder upon and internalize.